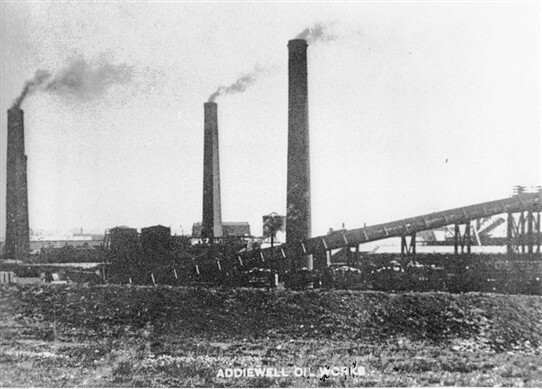 The document attached at the foot of this page gives a detailed description of the Addiewell Oil Works in 1902. 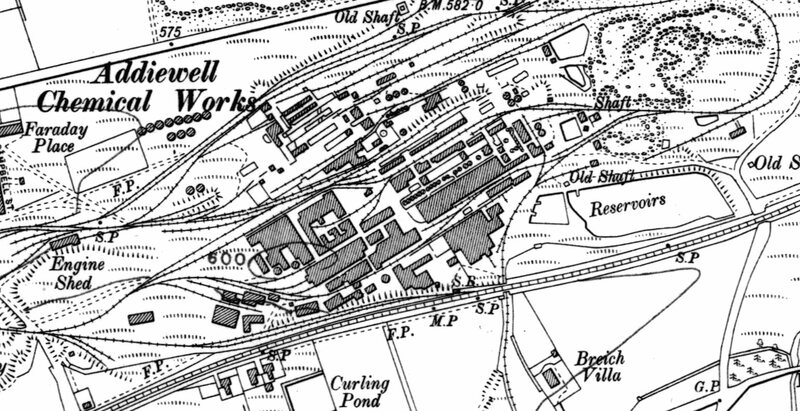 At that date, Young’s company employed 600 men there, and another 400 in the surrounding shale mines that supplied the oil works. Mention is made in the article of an earlier article describing the retorting and refining process. 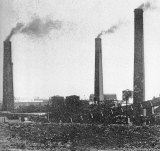 This was in a similar article on the Broxburn Oil Works, which appeared in the Courier of 21 November 1902. This article can be seen at or ordered from the Local History Library, County Buildings, High Street, Linlithgow, EH49 7HE. Tel. 01506 282491. localhistory@westlothian.gov.uk.uk . John Kelly. Adam Prentice. All Rights Reserved. S1. 86. 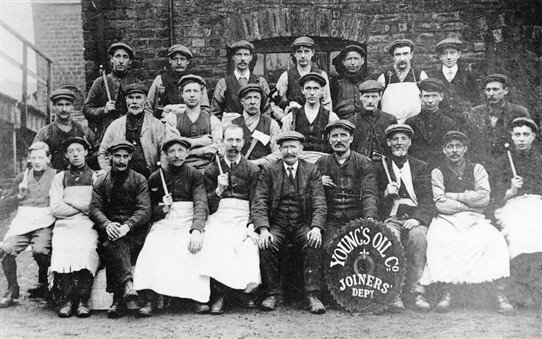 The joiners employed at Young's Paraffin Light and Mineral Oil Company, Addiewell Oil Works. This article in the West Lothian Courier of 5 December 1902 describes the whole process that shale went through from mining to refining - and there's also a detailed report of candlemaking.